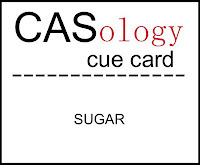 MASKerade: CASology 17 - Sugar! 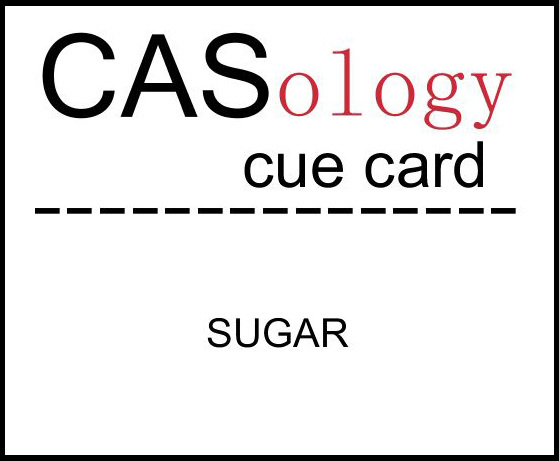 This week's CASology Cue Card is Sugar! And our sponsor this week is Neat and Tangled Stamps. I used a classic layout and created my candy cane wreath using Neat and Tangled Stamps set Sweet Home. The stamps are high quality, easy to use and the images are really sweet! To keep the card light and airy, I matted it on a very narrow red mat and then onto a white cardbase - making sure there is lots of breathing room! Now it's your turn for a sugar high! Don't forget the deadline is Sunday, November 4 at noon (CST). Here are links to the blogs of the other design team members - go check out their sweet creations! OMG!!! Holy Kamoly girl, you are brilliant! Seriously, I want to be you. Only you could make a geometric pattern out of a candy cane, Ardyth - AND make it look fantastic! Your candy cane wreath is incredible Ardyth! What a fantastic use the that stamp. What a great way to use candy canes! I have some candy cane stamps and have never thought to use them this way. You are so creative! Ahh...such a clever way to use those candy canes! 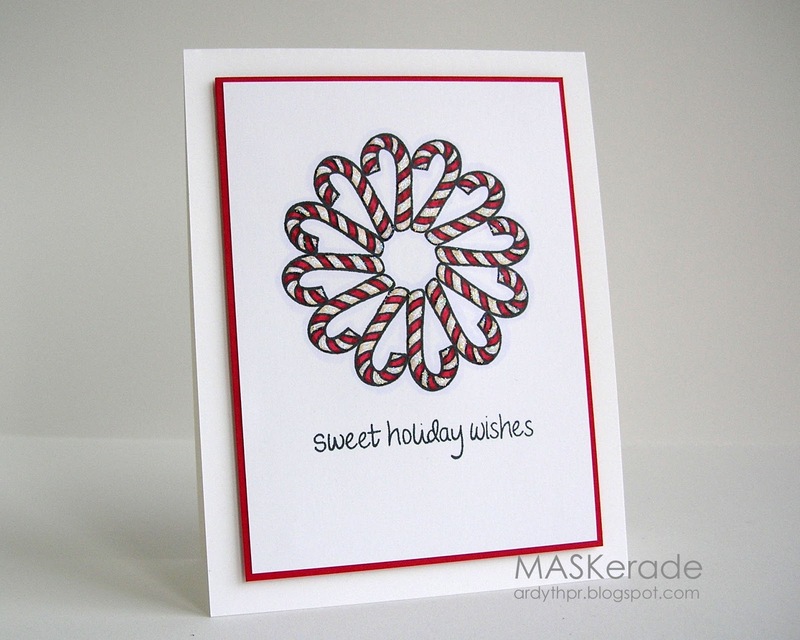 what a great way to use a candy cane stamp! Love your candy cane wreath, Ardyth, with just the right amount of sparkle. So adorable!! I have to tell you I had quite a chuckle (out loud) when I read your comment on my faux pressed flower card...more Mars bars for you, huh? Unfortunately, I did stash away some of the candy for me..hide the scales!!! Oh this makes me smile ardyth. Love it. Yay, it's my happy time to stroll through your blog! I would expect nothing less than a geometric design with just a candy cane from you. This is sensational, Ardyth! Love everything about it. What a creative use of a candy cane ~ and a super fun card! You are the queen of geometric and graphic designs! Wow. Your stamping is amazing! And your coloring too! Love it!